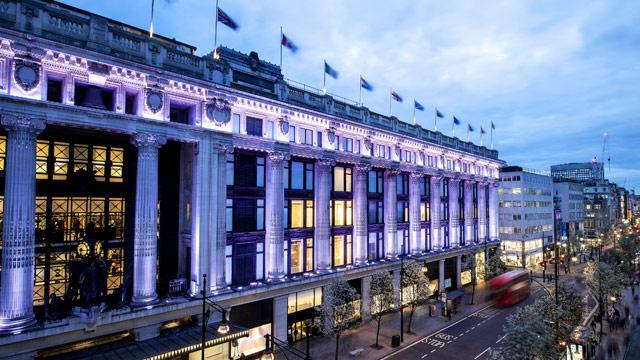 Selfridges is one of the world's finest department stores and dominates the west end of Oxford Street. The shop has six floors offering 10 acres of shopping space, 11 places to eat, two exhibition halls and countless services. From high fashion to hi-fi, wardrobe co-ordination to wedding lists, it's every shop you'll ever need. Luxury lovers should visit the ground floor Wonder Room, a 19,000 square feet haven of high-end brands that range from jewellery to sunglasses. The store is also home to the world's biggest-ever denim department, with nothing but jeans covering a whopping 25,000 square feet. Housing more than 11,000 pairs of jeans, shoppers can choose from over 60 brands, from Primark to Christopher Kane. Personal shoppers and product specialists can help you find that perfect pair of jeans, while an interactive area has lookbooks and fit guides. Is Selfridges & Co your business?